The above products are recommended for installation or mounting of the 6203 45 deg Mitered Handrail. 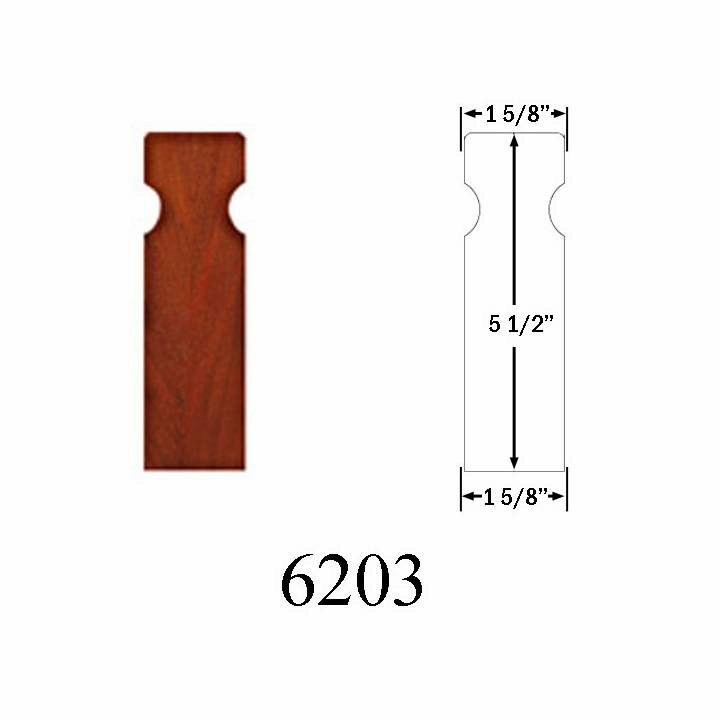 6203 Contemporary Handrail is 1 5/8” at its widest point & 5 1/2” at its tallest point. The 6203 is vertical with rounded corners and an excellent gripping surface. The height is 5 1/2″ and the width is 1 5/8″. I’m interested in this railing design. What wall bracket do you recommend using. Our house has a contemporary interior design. The stair we have is narrow only 2’-9” wide wall to wall. Therefore this handrail at 15/8” thick is better than the others. I like that it has returns on both ends. What is the dimension of the return? Can they be field cut to adjust for the depth of the wall bracket? We would like to have the wall brackets in a brushed stainless steel and need to be a clean contemporary design. Also the length I need is 11’-6”. Would this railing be shipped as one piece or would it be two pieces requiring it to be field spliced. If you’re in need of a stainless steel handrail bracket, look no further than the VR453 Stainless Steel Handrail Bracket. When we fabricate a returned-end handrail with 45-degree mitered returns or level quarter turns, the return is fabricated at 6″ from outside edge of the return to the outside edge of the handrail, so that it can be trimmed to your specific size on site. 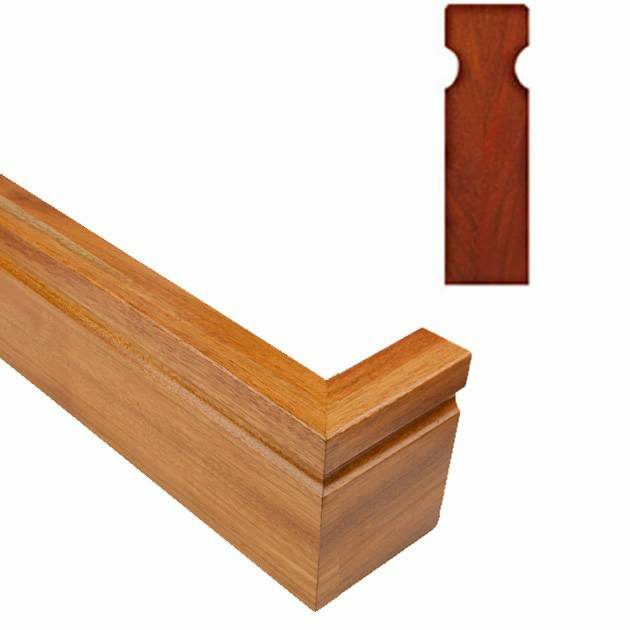 Your returned-end handrail would be fabricated as a single piece – the only work you’ll need to do with it on site is trim the returns to reasonably accommodate your site conditions. If you require further explanation or installation assistance, please give our team a call at 1 (866) 226-6536.